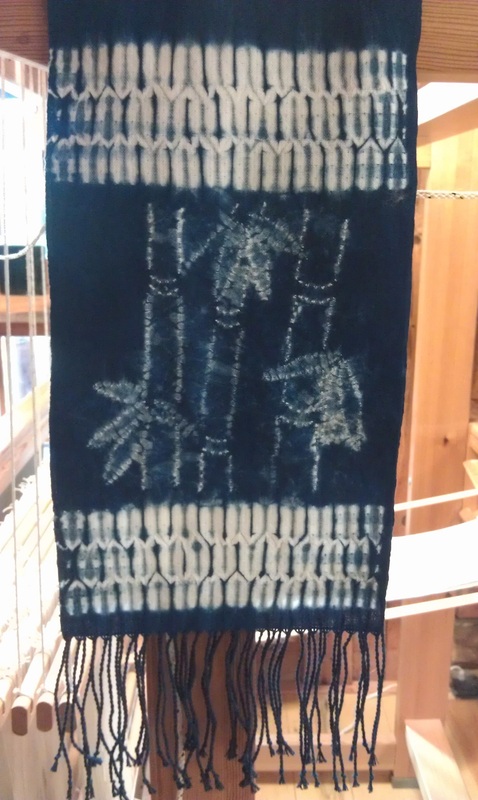 Woven Shibori scarves are handwoven with 100% Swedish Bockens cotton, and indigo dyed, are hemstitched on the loom, and have fringe that was twisted by hand. 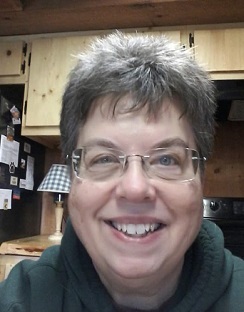 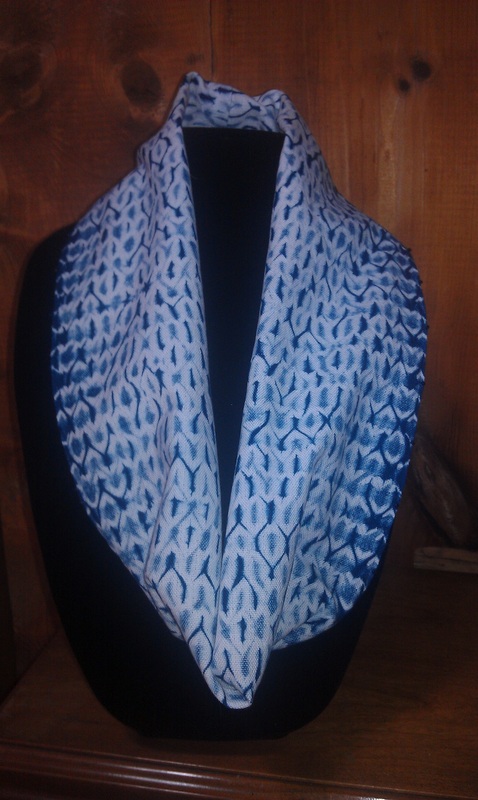 Scarves start at $115+ depending on fiber and size, and if any embellishment has been added. 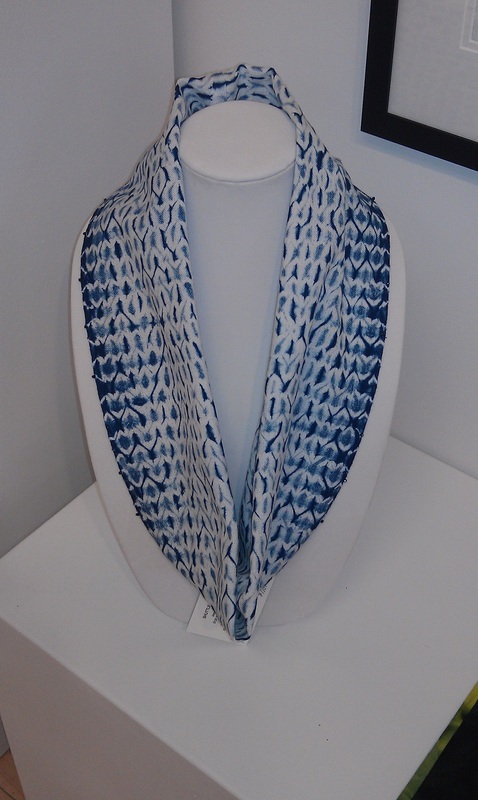 Woven shibori circle scarf, embellished with clear glass beads along the long edges. 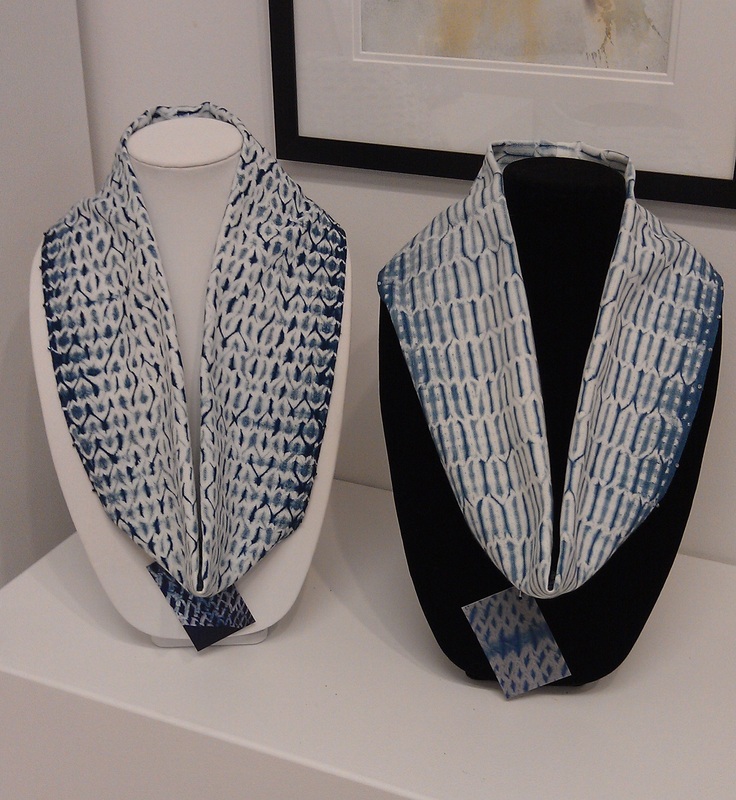 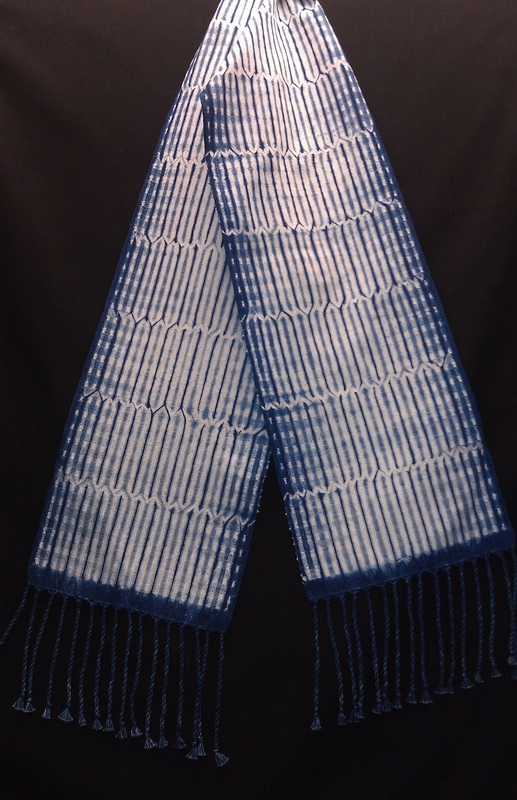 Woven shibori circle scarf, embellished with indigo-color glass beads along the long edges. 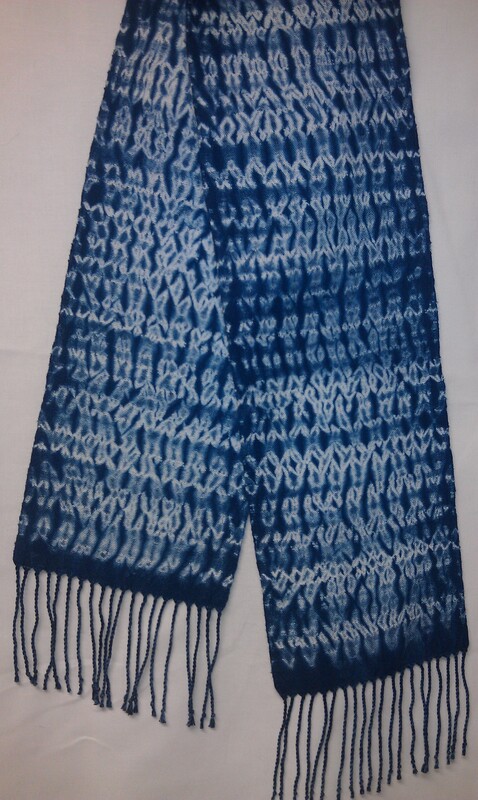 Vertical stripe woven shibori scarf. 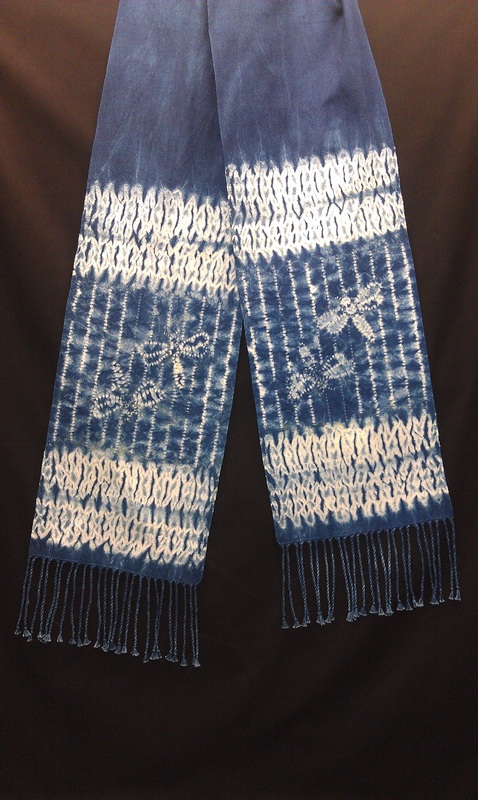 Dragonflies border woven shibori scarf. 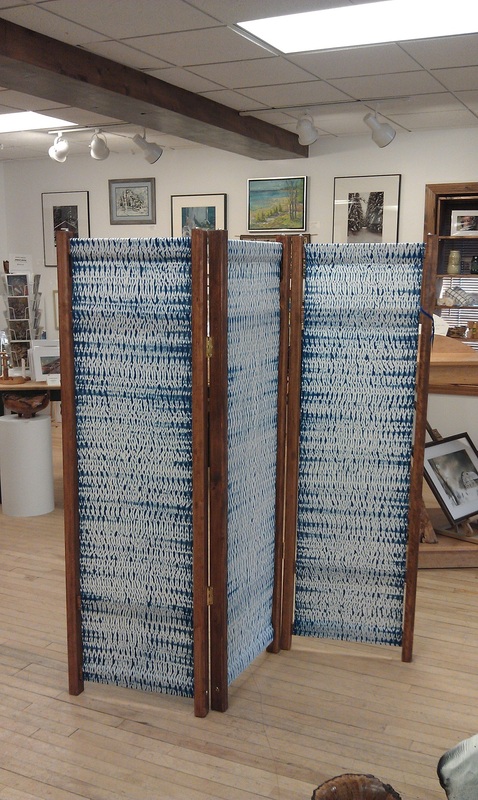 Woven shibori three-panel room divider/screen. 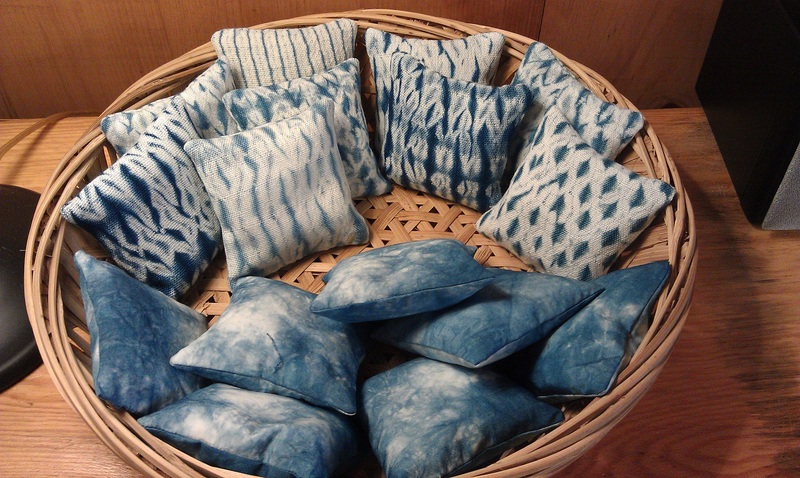 Handwoven, woven shibori and dyed cotton sachets, filled with dried lavender sachets.